Rachel made me dinner last night and it was amazing! So simple and yet, fabulous. Plus, it cost us almost nothing since she used all vegetables from Riverbank Farm (yes they still have vegetables in the winter) and we used some Sicilian Dipping Oil from my job at the Olive Oil Factory for flavoring. Boil Pasta. While pasta is cooking, sauté the carrots, onions, and garlic in olive oil. When these are soft, throw in the baby kale for less than a minute just to turn it bright green, be careful not to overcook the kale. Add the vegetables to the pasta and smother the whole dish with Sicilian Dipping Oil. Salt + pepper to taste. Enjoy! I love spaghetti squash. It’s something I don’t eat very often, but it is so easy to make and it’s a naturally gluten free pasta! 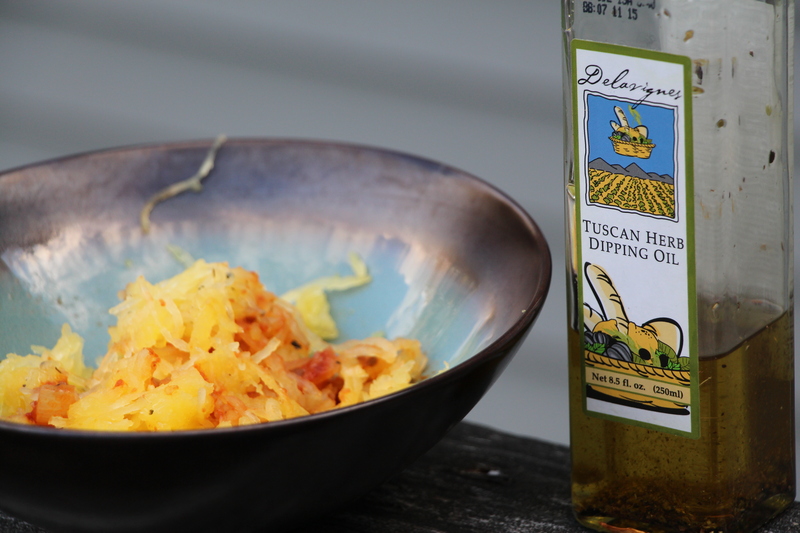 This fall I accidentally found an amazingly simple sauce for spaghetti squash that makes me love it even more. Here’s how it came about. 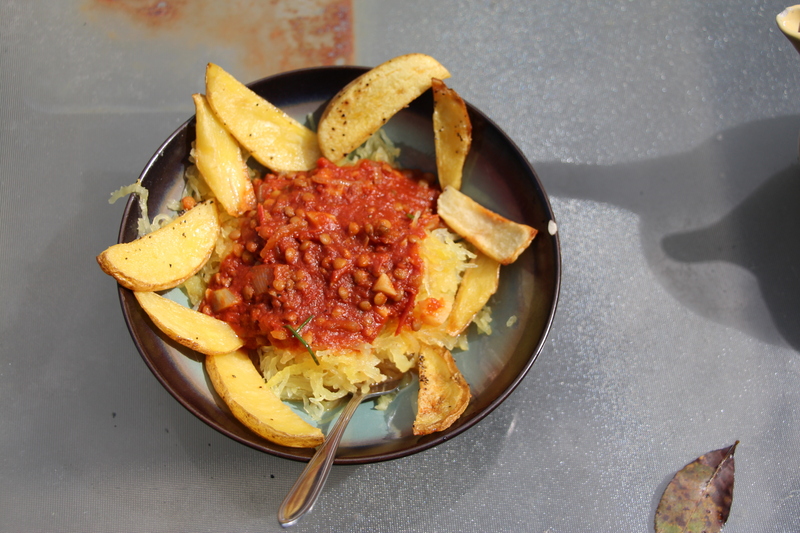 I made spaghetti squash with tomato sauce, lentils, and some roasted Carola potatoes (for good measure) – pictured below. It tasted good, but was nothing to write home about. However, when I went to get my second plate (yes, I always go for seconds), I found I was out of sauce. Adding squash to my bowl, I had a hint of tomatoes left, but it wasn’t quite enough flavor. I decided then to drizzle on some oil that had been given to me by my new employers. Oh man, this is amazing! And thus, my Tuscan Herb Spaghetti Squash recipe was born. 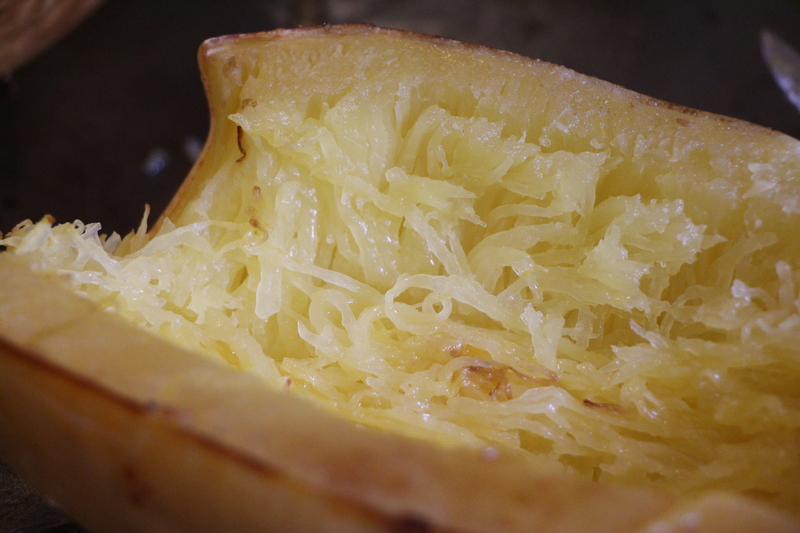 Pre-heat the oven to 415 F. Cut the spaghetti squash in half and scoop out the seeds and pulp. Lightly oil the squash, on the inside and the outside. 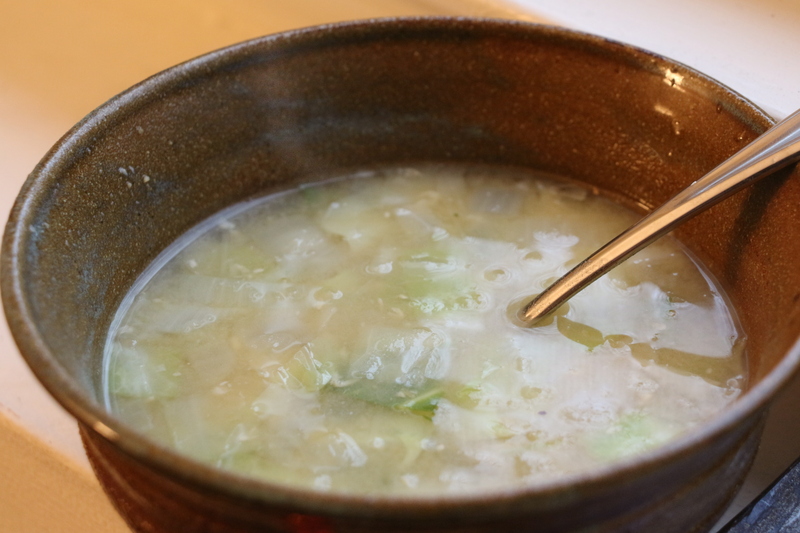 Place on baking sheet and cook until it is tender when pierced with a fork (about 30min). Pull out the ‘spaghetti’ by scraping the inside of the squash with a fork until you get all of the meat out. Add a touch of tomato flavoring (sauce, sun dried tomatoes, or some fresh tomatoes). Heavily drizzle the whole bowl with Tuscan Herb Bread Dipping Oil and season with salt and pepper. Enjoy! 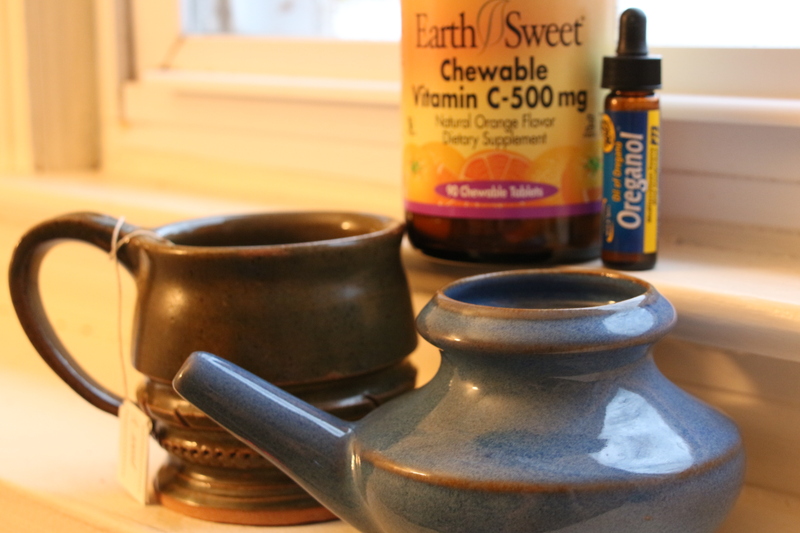 Angel from Wellness Angel put together a week-long fall inspired blog series. To start the week, Angel shared a wonderful vegan lentil loaf recipe. Tuesday, Amber from The Tasty Alternative posted an awesome dairy free, cane sugar free, grain free no-bake mini pumpkin cheesecake. 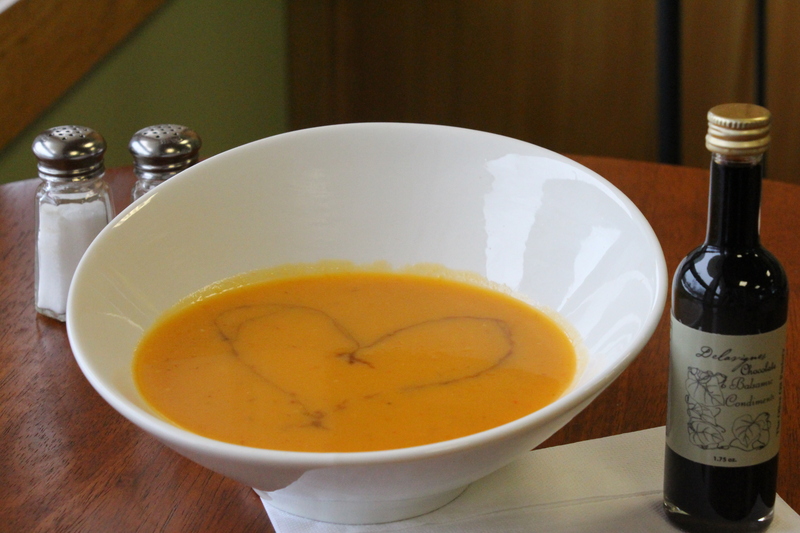 Yesterday Heather from The Soulful Spoon wrote about a tasty frozen pumpkin latte smoothie! 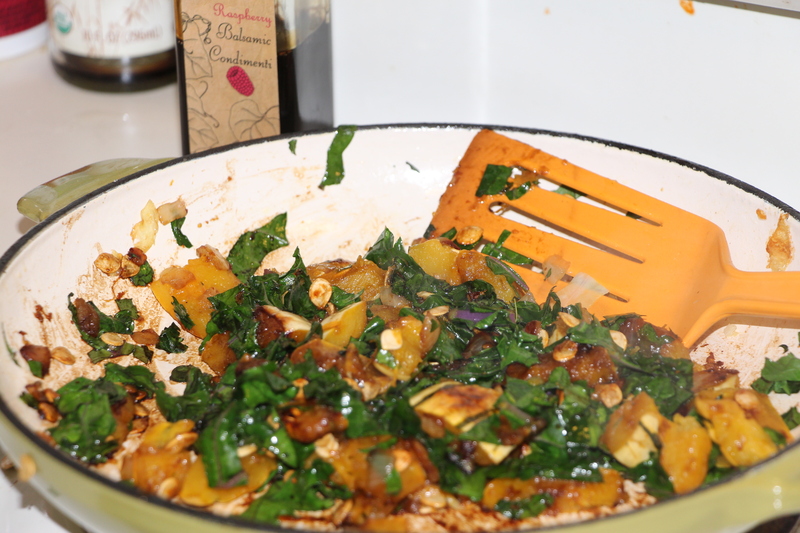 Today, I will be sharing with you a favorite recipe of the crew members on Riverbank Farm: our famous delicata and kale sauté. 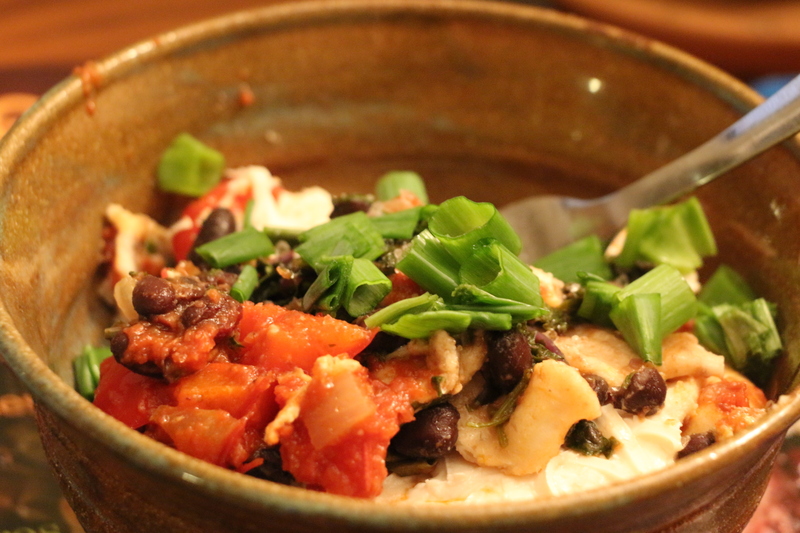 This meal is awesome because it takes very little time to make, has only 6 ingredients, and tastes, well, amazing. 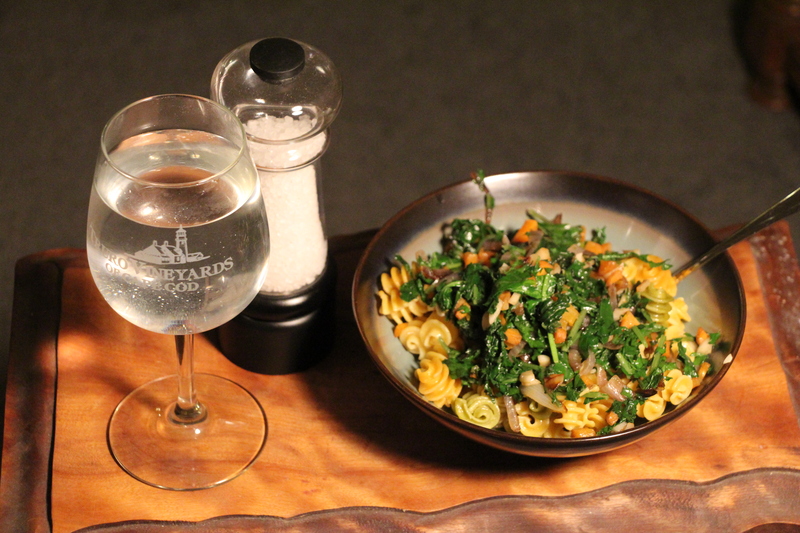 *You can use any type of kale, but we all think red russian tastes best in this recipe. If you are using onions, start them sautéing in a skillet with olive oil. Cut the ends off of the delicata squash and slice the squash into quarters. Don’t peel the squash, the skin is thin and tasty. If you don’t like the taste of pumpkin seeds you can core the squash, however we prefer to leave the core and seeds in as it is quicker, the seeds crisp up and taste great, plus the seeds give you an extra mineral and protein boost. 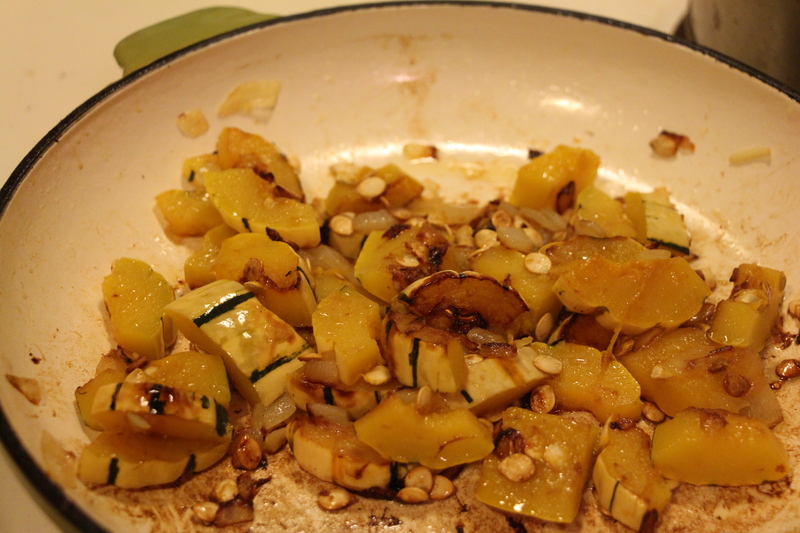 Sautee the squash in a skillet on med heat with a lid for about 30 minutes stirring occasionally. Your aim is for the squash to brown nicely and cook through until soft. 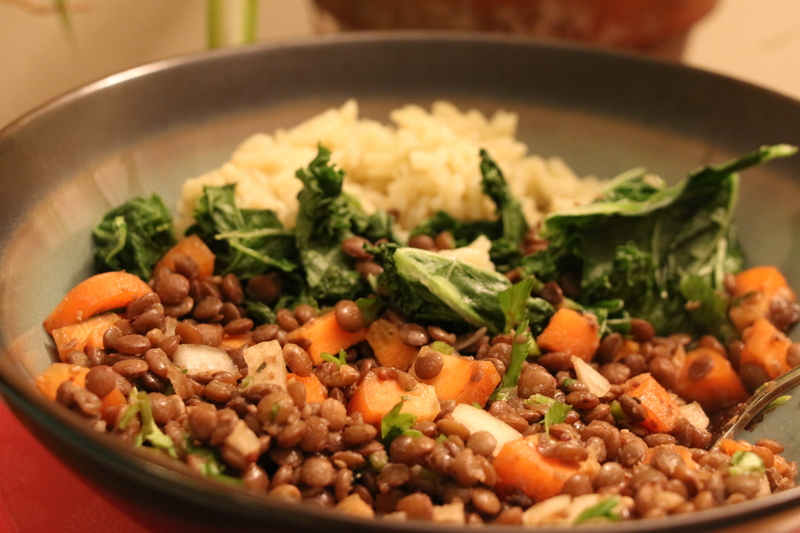 During this time you can strip the leaves off of the kale stalks and coarsely chop them. When the squash is soft and browned, add the kale and salt/pepper to taste. Let the kale turn bright green and wilt a bit (about 2 minutes). To make this dish fancy and add a little flare to your cooking, drizzle some raspberry balsamic vinegar over the meal as it is finishing its cooking. And there you have it – a simple, filling meal you can make with almost no work – and a great reason to love fall vegetables. Enjoy!